The first hardware Bitcoin wallet released is Trezor. This wallet was created by SatoshiLabs with the aim of storing your private key and public address in a safe place. This minimalist device is preferred by users because it is handy and durable. You can even use this wallet if you are into Bitcoin mining. Trezor is a hardware Bitcoin wallet in a form of a small device that contains your keys. It comes in different colors: black, grey, and white. You do not have to worry about malware or other viruses that can infect your device because it is safe. Other than that, the device has a PIN and recovery phrase. These security features will help you access your account in case you damage or lose your device. Moreover, the device has an extra layer of security with its two-factor authentication feature. This keeps you away from hackers. The device also requires you to manually confirm each transaction for you to be aware of your actions. To confirm, you just need to click the button on the device. Without your confirmation, the process for the transaction will not continue. You might think that all the features Trezor wallet devices have are also offered by other hardware wallets. All Bitcoin wallets have a PIN, backup, and more. But unlike other wallets, Trezor continues to upgrade and improve itself. As of this writing, you can now connect your device to third-party plugins. With this new feature, you can manage and keep track of your spending. The wallet also notifies you if you are reaching your budget limit. Not only does the wallet have a simple recovery feature, but it also has an advanced passphrase support feature. It doubles the protection that you have before with its tighter security. This feature also lets you create a decoy wallet to be safe from hackers. To activate these features, make sure that you have the copy of the 24-word phrase that the wallet will give you. Moreover, you can still use Trezor even if you are using another crypto currency because it is open to altcoins as well. You can also use this wallet for the crypto currencies that you receive from Litecoin mining or Bitcoin mining. 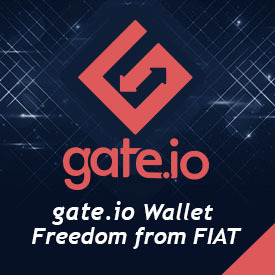 If you are already using this wallet, expect more exciting features in the future.